As of May,2016, the Windows 10 operating system is running on 300 million devices (Link). Last one year Microsoft offered the free upgrade to Windows 10 from Windows 7, Windows 8 and Windows 8.1. If you look at shopping websites, you could find so many laptops and desktop PCs are . . . . .
Nowadays you could see laptops and mobiles comes with different WiFi specification. 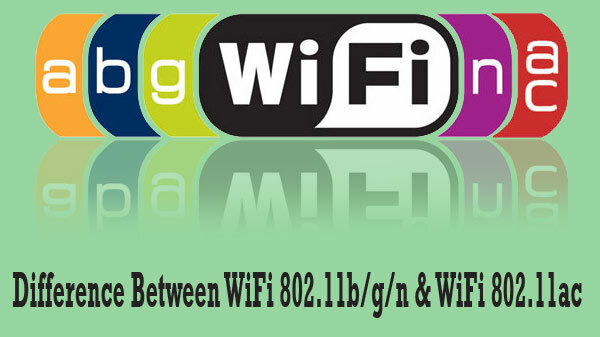 The latest laptop models all comes with the WiFi 802.11ac. But, you could still find laptops with WiFi 802.11b/g/n. So, here we explained, what is the difference between these standards . . . . .
Microsoft, in order to keep things simple and easy, released four editions of Windows 8 namely Windows 8, Windows RT, Windows Pro, and Windows Enterprise. Below is a brief of what users can expect from Windows 8 and Windows 8 Pro. This is a standard edition with all major features . . . . .
Windows 8 and Windows RT (Runtime) are nearly similar to each other where the only major difference is that Windows 8 is a standard edition with a full-feature operating system, while Windows RT OS is powered by ARM and is mobile-focused. Their physical outlook is the same but the performance . . . . .
Microsoft’s latest offering, the touch-centric, Windows 8 comes with a wide array of features when to compared to its predecessor Windows 7. Microsoft scored big with Windows 7 and now with the release of Windows 8, the American software giant aims to show that even windows can be made work . . . . .
6. Desktop PC Vs Laptops Vs Tablets – Which is right for you? The only computing option people had few years ago were desktop PCs; but the rapid advancement in the field of Information technology has left consumers with many options. The last decade was dominated by desktops and laptops, while the current market is flooded with innovative options such as Mini Laptops, . . . . . The first appearance of Windows 8 might seem radical with its all new features such as start screen, applications, and the Charms bar. However, the machine on which Windows 8 runs has not changed much. So, if users were able to run applications and programs on Windows 7 or other . . . . . When people purchase Windows 8 it is also advisable to learn about the refund policy in case of any event to occur where the users have bought the wrong edition of Windows 8 or are not satisfied with the Windows 8 edition. Microsoft follows a strict North American return policy . . . . .
9. What is Windows 8 ? Microsoft’s Windows 8 was released on October 26, 2012. This version of Windows operating system is for personal computer use, which includes home and business systems, laptops, home theater PCs, desktops, and tablets. Windows 8 uses the 6.2 version of the NT kernel. Upon its launch, Windows 8 significantly changed . . . . .
10. What is an Ultrabook Laptop and why it is so expensive ? An Ultrabook, as defined by Intel, is a notebook of the higher-end type seeking to fill the gap between tablets and lightweight laptops. Ultrabook PCs are expensive than a MacBook. Ultrabooks were first revealed at the Computex Trade Show in May, 2011, which was dominated by Asus models. Ultrabooks are . . . . .
Users, who still have not got hold of downloading and installing Windows 8 for an existing system, transformation pack comes as a boon. The Windows 8 transformation pack essentially alters previous versions such as Windows XP, Vista, and Windows 7 into Windows 8 lookalike. The latest version that is updated . . . . .
12. What are all the Windows 8 upgrade requirements? If one plans on to buy a computer with Windows 8, then there are two ways to achieve it. Either one can pick from a wide array of desktops and laptops or can upgrade the existing system to Windows 8. If the aim is to upgrade the existing system, then . . . . .
13. Tablet or Mini Laptop – Which is right for you under tight budget? Gadgets are playing the vital role in everyone’s life. Be it students, professionals or homemakers, the need for electronic gadgets such as laptops, tablets or android mobile devices have increased in current lifestyle. Whichever gadget you choose, all has something highlighting to offer you. But the primary question comes about . . . . . Installing Windows 8 via a USB device, say a flash drive, is increasingly becoming common due to one important fact that most present-day systems, particularly desktops and laptops, do not support optical drives. In simple words, if users wish to install Windows 8 via a USB device, they will have . . . . .
A Solid State Drive (SSD), also called electronic disk or solid-state disk, is a computer data storage device that uses flash memory chips as in USB drives, smartphones, and memory cards. There are no moving parts present on the SSD and keeps the data safe. This is the primary reasons . . . . .
Slot Loading DVD Drive vs. Tray Loading DVD Drive – Advantages and Disadvantages The primary question that comes for everyone while buying laptop is whether to buy slot loading DVD drive or tray loading DVD drive? Though it is totally dependent on individuals, we need to know about these on before . . . . . Most users today face the issue of black screen while installing Windows 8 upgrade. This has now become very common and almost every user upgrading to Windows 8 encounter this problem. After booting Windows 8, a black screen appears either for a split second or for few minutes; sometimes even . . . . .
Microsoft has introduced four different editions of Windows 8 with varying features namely: Windows 8, Windows 8 Enterprise, Windows 8 Pro, and Windows RT. Among the four, only Windows 8 and Windows Pro are available for consumers while Windows RT is designed for ARM devices.Windows 8 Windows 8 is the basic . . . . . Upgrading Windows 8 from ISO file is quite easy considering the free tools that are available and is also a great way to backup vital DVDs or CDs to the hard drive. Creating and storing important software via ISO backups could prove a smart move. ISO images offer great potential . . . . .
Downloading and booting Windows 8 through DVD is not as simple as it seems. If a user has upgraded to Windows 8 through a windows8-setup executable file, rather than upgrading through a DVD, then the person may face issues in trouble-shooting the system in situations where the system might not . . . . .
A clean install is best recommended for an overall upgrade for all the versions of Windows and Windows 8 is no different. A custom install, also known as clean install, means installing Windows 8 using an upgrade version. After organizing data backup for restoring and reinstalling software for afterward use, . . . . .
22. Google Chromebook – Is that an alternative to normal Laptop? This is the first laptop designed by the web search-engine giant Google itself. In comparison, Google Chromebook’s price is relatively high and is primarily sold online. The Chrome OS laptop has a 12.8-inch screen at 2560 x 1700 pixel resolution offering the most brilliant display even on a computing device. . . . . .
Dell have different models and the Vostro line comes with decent design with reasonably good build quality and most importantly it is aimed at the price conscious buyers. Here in this page we compared the two Dell Vostro models which has the same internal hardware specifications. The only major difference . . . . .